Tired of covering up your dry and dull hair in a bun? Try the avocado and egg hair spa at home for dry hair remedy and you will never have to tie your hair up again. Avocado and eggs are the best natural ingredients for improving hair health and quality. Full of proteins, eggs provide shine and nourishment to the hair and avocado moisturizes them. 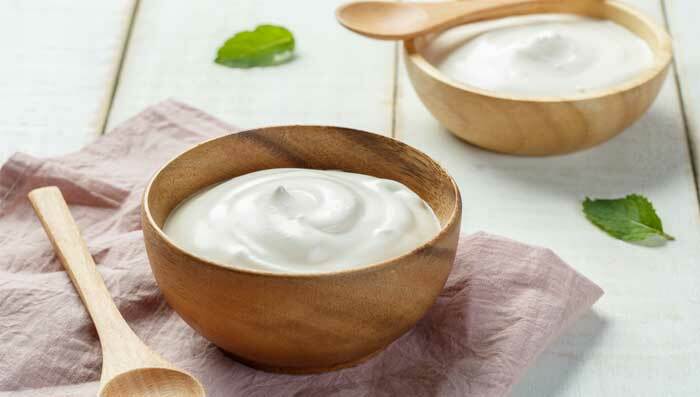 Both yogurt and honey are known to moisturize and condition frizzy and dry hair naturally. They help nourish the roots and stimulate growth of soft and silky hair. In a bowl take one cup fresh yogurt and to it add two tablespoons honey and a few drops of rose water. Coconut oil is said to be the best hair spa treatment at home for dry hair. It provides overall nourishment to the hair, from roots to tips, helping them grow healthy and strong. It also cleans the scalp to get rid of infection causing bacteria and fungi and other free radicals. Lemon on the other hand aids in prevention of excess of sebum production and reduces dandruff. Hair fall is a condition that practically everyone suffers from today, irrespective of age and gender. Least to say, it can be quite damaging for one’s condition as leaving behind a trail of hair everywhere you go is certainly not a pleasant thing to do. Apart from few medical and hereditary reasons, hair fall has become a common problem even with youngsters because of pollution and poor diet. But the problem can be tackled easily with few precaution and lots of care. There are effortless hair masks one can make at home to get rid of the problem of hair fall over a considerable period of time. Green tea is said to be rich in antioxidants and hence helps remove free radicals that cause hair fall. Honey moisturizes the scalp and roots, making them strong. Bananas are rich source of minerals, calcium and antioxidants and hence work wonders when it comes to hair health. Along with honey, bananas provide vitamins and potassium that are necessary for growth of hair follicles. They both also moisturize the scalp and nourish it to encourage the growth of silky soft and shiny hair. Curry leaves are loaded with protein and beta-carotene which helps in battling hair fall and strengthening the hair roots. Along with coconut oil, this hair mask helps in conditioning the hair from roots to tips and regrowth of thick and well-moisturised hair. Use this mix for application to the scalp and hair, moving from roots to the tips, gently massaging for 10-15 minutes and thereafter keep it on for another hour. It’s a common myth that oily hair does not need conditioning and oiling. But the truth is that these masks do not increase the oil level in the hair but help balance them so that hair becomes strong and long. Hair spa treatment at home provides nutrition for the hair and so if you have an oily scalp, trying these easy to make hair masks can help control the production of excess of sebum in the scalp and keep it clean and problem free for long. Strawberries are rich in antioxidants and help in keeping the scalp free of bacteria and other infection causing germs. It also nourishes the hair from roots and helps growth of hair growing cells. Indian gooseberry or amla is considered to be an elixir for hair. Not only it nourishes, but also strengthen the hair roots and adds thickness and natural shine to the hair. Both amla and lemon are high on vitamin C and antioxidants and help in keeping the hair healthy and clean. If you ever wonder how to make hair spa cream at home, here is the perfect one you can churn out easily. Fresh cream provides moisture and hydration to the scalp whereas, corn flour removes impurities and control oiliness of the scalp.